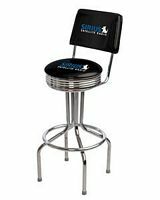 Put your company name on a bar stool. 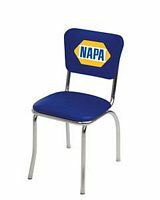 Bar Stools and Chairs carries American Made commercial quality logo bar stools. 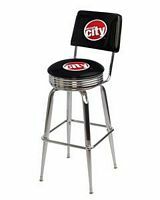 Each logo bar stool is built by hand in Chicago, IL. 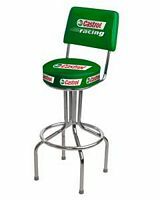 Our commercial logo bar stools are perfect for parts counters, sales counters, trade shows, and garages. We can Pantone match any corporate color. 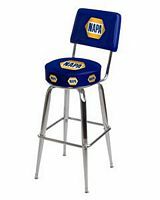 Imagine advertising your brand at the point of sale for years to come with a commercial quality logo bar stool. To receive a quote, please email your artwork, zip code, style preference, and quantity to sales@barstoolsandchairs.com.